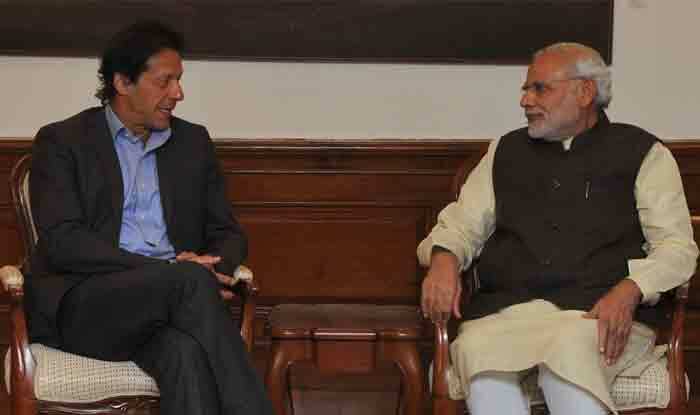 New Delhi: Amid ongoing controversy over Bollywood actor Naseeruddin Shah’s remarks on mob violence in India, Pakistan Prime Minister Imran Khan on Saturday said that he will show the Narendra Modi government “how to treat minorities”. Pakistan PM Imran Khan said while addressing an event to highlight the 100-day achievements of the Punjab government in Lahore. “We will show the Modi government how to treat minorities…Even in India, people are saying that minorities are not being treated as equal citizens,” he said referring to Shah’s statement. Pakistan PM also asserted that his government is taking steps to ensure that religious minorities in Pakistan get their due rights, which was also a vision of the country’s founder Muhammad Ali Jinnah. Khan said his government will make it sure that the minorities feel safe, protected and have equal rights in ‘New Pakistan’. The comment was in reference to his character in the 1998 action-drama “Sarfarosh” in which he played a Pakistani singer who aids cross-border terrorism. The Pakistani premier said if justice is not given to the weak then it will only lead to an uprising. On December 3, Inspector Subodh Kumar Singh and a student, Sumit Kumar, were killed in mob violence in Bulandshahr after cow carcasses were found strewn around. Imran Khan said his government will make it sure that the minorities feel safe, protected and have equal rights in 'New Pakistan'. Shah is facing criticism for his remarks on the spate of mob lynching cases in India following the killing of a policeman in Bulandshahr district.